W. A. Blakston, the renowned Victorian author and judge, possessed a very old book that, in his opinion, contained “a deal of sound information on Canary matters”. He quoted extracts from it a couple of times in his chapters for Canaries and Cage Birds (1778-81), the greatest book ever written on canaries. Unfortunately the book had no title page, so he was at a loss to know its title, who had written it, or when. A mystery in three parts! No doubt the first of many that we will encounter in this blog. One of those extracts contained the description of a canary that inspired the name of this blog: the fine spangled sort. It piqued my curiosity, so let’s see how far we can go to solve the mystery. The ‘fine spangled sort’ is a catchy phrase. I’ve heard it repeated by people with only a cursory interest in the Lizard canary’s history. If you had only three words to sum up the Lizard canary, these are about as good a combination as you’ll find. It doesn’t work quite so well for the London Fancy because the ideal had no spangling at all, but the variety certainly did possess spangles in the eighteenth and nineteenth centuries, so it still works as long as you understand that as far as the London Fancy was concerned, ‘fine’ meant ‘the finer the better’. A New Way of Breeding Canary Birds printed by J. Hughs of London (1742). The Edinburgh edition contains just a few extracts, but the other three are entire and almost identical, even though their titles changed with each edition. The law of copyright existed during the eighteenth century, but the moral rights of the original author were no match for the commercial power of the publisher who could (and frequently did) sell the publishing rights on to another. The changes in title and printer suggest that that is what is happened here. Fortunately for our detective work, the wording of the 1742 edition is slightly different from the others. Sometimes it is a whole sentence, sometimes just a single word, and that is what occurs in the extract referring to the fine spangled sort. Blakston’s extract matches the original edition, so we know that the book he had at his side must have been the one published by J, Hughs in 1742. Sadly, the author remains anonymous. The one thing we can be reasonably confident of is that it was not Thomas Ward, who had commissioned (and probably wrote) The Bird-Fancyer’s Recreation published in 1728, even though there are many similarities in the content of that book and A New Way of Breeding Canary Birds. It is probably no coincidence that 14 years had lapsed between the two publications, because that is how long copyright lasted in the eighteenth century (actually it’s more complicated than that, but you’ll be relieved to know that I am not going to go into detail). What did the spangled sort look like? Here is the original description, which I’ve re-typed because eighteenth century type-setting can be tricky to read (e.g. ‘f’; and ’s’ are almost identical). With No White at all about them, and with Black or Dark Brown Feathers in their Tails, and a Spot on their Heads, called by fanciers, A Cap. There has been much speculation as to whether the ‘fine spangled sort’ refers to the London Fancy. There are eighteenth century texts that imply a close connection, but this is not one of them. The bird described here is clearly the ancestor of the Lizard canary. * ‘pencil’ meant a painter’s brush during the eighteenth century What we know as a wooden pencil with a graphite ‘lead’ was not invented until the end of the century. It could therefore be possible that the french huguenots brought this bird with them and they were later on transformed into the lizard canary with a better spangling … we will never know for sure. Danielle, are you referring to the Serin de Provence in the Histoire Naturelle Des Oiseaux? Could you explain why you think it is the same as the fine spangled sort? 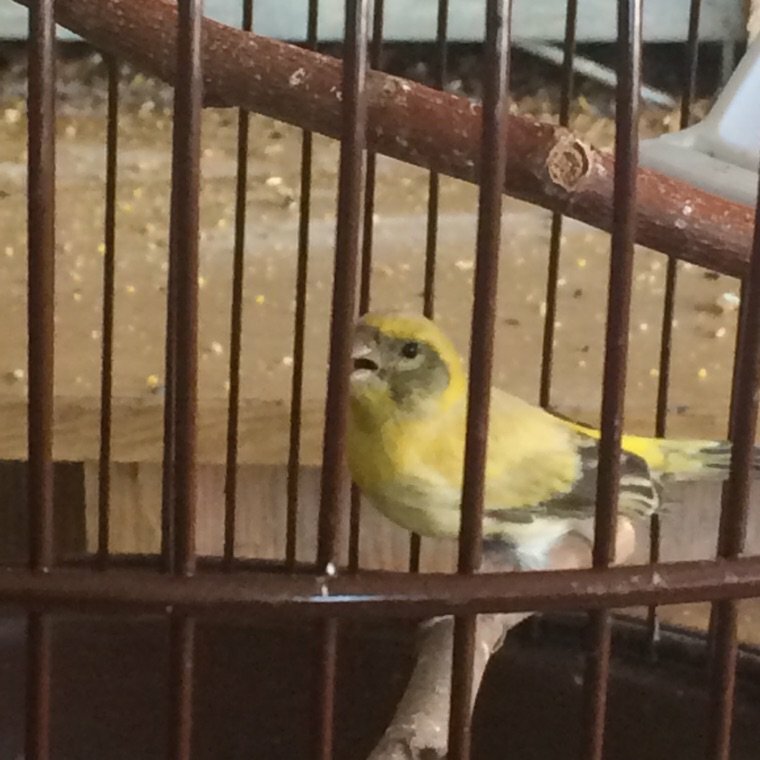 Also, in blog serinus-society.eu you can see some mutated “serinus serinus” of an italian breeder (Spitieri I think) showing a yellowish plumage & may be even a cap ! Thanks for directing me towards the Serinus serinus mutation – an intriguing bird that does have some resemblance to the Lizard. If I can obtain more information, I will post it. We need to be careful here. The information I have received about the ‘mutation’ serin you mentioned in your last comment indicates that it was actually a hybrid between Serinus serinus and an agate canary. We should not confuse modern hybrids with historical evidence (although we should not dismiss them either). If you have evidence of a spontaneous mutation of S. serinus, or of hybrids produced from S. serinus and S. canaria, that would be more relevant.